In this article we’re going to share a list of the top 5 best vape pen starter kits, along with telling you about them, as well as providing our thoughts. We urge you to view each page to learn about each device, because you might just find a vape pen for yourself or for a family member that’s interested in quitting smoking. 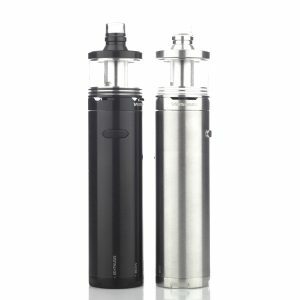 The great thing about these vaporizer pens listed here today is that they’re all available as a starter kit, meaning they come with nearly everything that is needed to start vaping immediately. Due to it being sold as a starters kit, it makes as an incredible gift for yourself or others. If you’re looking for something that is a bit more discreet, you may want to check out our top 4 vapor pod systems for beginners article, which is a listing of 4 of the best and latest vapor pod devices available. There may be many of you wondering what a vape pen is, and we understand there may be some confusion with the name for these particular products. For this reason, we would like to take this time to clear things up and explain what it is and why it carries a name different from other vape devices. A vape pen or vaporizer pen is a type of e-cigarette that is used to inhale heated vape juice, which allows the user to exhale vapor. Its called a vape pen because its cylindrical shape is similar to a pen. A vape pen doesn’t necessarily look like a real pen, but it does feature the same tubular design, some being the same standard size as a pen, others being as large as a cigar, and more modern vape pens boast more girth. The first form of a vape pen was introduced at the birth of the vaping industry. Though earlier versions were created to mimic the appearance of a traditional cigarette, later versions that offered a larger cigar size to them were being introduced around the year 2010. Still to this day vape pens are one of the top-selling types of vapor products, and as the industry continues to progress, the design, performance, and technology continues to follow. The Rebel 3 Starter Kit is an outstanding kit placed together by VaporFi. It delivers everything that you need to start vaping, including a Rebel 3 Tank with a pre-installed 0.5ohm Coil, a spare 0.5ohm Rebel 3 Coil, the Rebel 3 Battery, a USB Cable and Wall Adapter for charging, as well as a very detailed User Manual to get you on your way. The Rebel 3 Vape Pen offers a high-class appearance, promoting an optional sharp black color or a sleek stainless steel color. The Rebel 3 boasts a compact design and looks marvelous with its “stumpy” stature. Aside from its incredible appearance, the device offers long vaping sessions due to its 3000mAh built-in power supply, and to carry you throughout those lengthy sessions the Rebel 3 Tank offers a large 5.8mL capacity. Using the vape tank that comes with this kit makes for top-notch performance, and that’s namely due to its 0.25ohm – 0.5ohm resistance range that allows for immense vapor production — blowing big clouds comes as an easy task to fulfill. Additional features include a stainless steel wide bore drip tip, a spring-loaded 510 connector with heat dissipation holes at the bottom, and adjustable airflow control that allows you to dial-in to your exact airflow preference. Our Thoughts: We absolutely love the look of the Rebel 3 Starter Kit by VaporFi, and to be honest we love the VaporFi brand in general. 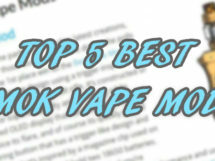 In fact, we just shared what is the best VaporFi Mod to buy in a recent article. 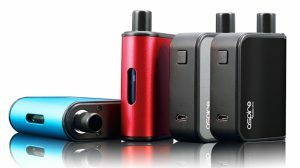 As for the Rebel 3 specifically, not only does it sport that short and stumpy look to it that’s favored, but it also plays two roles as being convenient by simply sliding right into your pocket with ease. The fact that it’s constructed of stainless steel lets us know that the device is durable and ready for whatever you have to throw at it. Its built-in 3000mAh battery is quite a hefty offering for a vape pen, but that almost comes expected from a device that has such girth to it. And, if it’s performance you’re after, firing in sub-ohm territory with the included 0.5ohm coils will allow you to get some good flavor followed by having the ability to push out some great clouds. 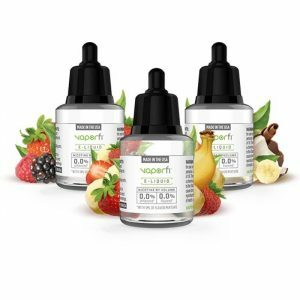 Want something even bigger from the VaporFi brand? 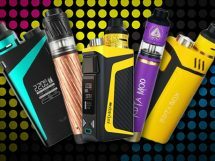 Check out this article where we tell you the best VaporFi mod buy, expaining in great detail what these larger vape mods have to offer. If you want plan to buy this vaporizer, you’ll be pleased to know that when you click the button below, it’ll take you directly to VaporFi and it will automatically apply a 25% off coupon code. We’re glad that we can take part in helping you save! 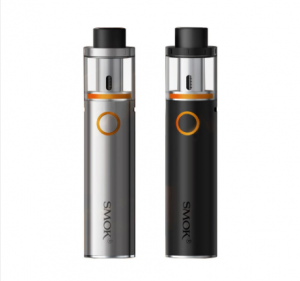 The Vape Pen 22 Starter Kit by SMOKtech is another flawless implementation of what a device should offer with an unbelievably low price to match. This device offers a simple design, yet an equally balanced performance that will have you pleased and amazed at the same time. 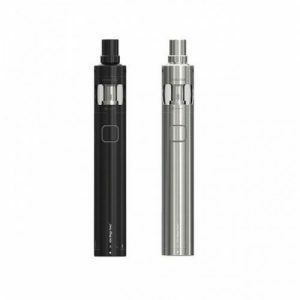 This is of course another starter kit, so it offers everything you need to start vaping, including the Vape Pen 22 Battery with an All-In-One Design that means the atomizer is built into the chassis, two 0.3ohm Coils, a USB Cable for charging the device, and a very detailed User Manual so that you’ll know everything about the Vape Pen 22. The SMOKtech Vape Pen 22 Starter Kit is a bit of a unique one. In fact, even though it features a simple appearance with a user-friendly Single Button Operation, it’s also not so simple when it comes to the features that it offers. As mentioned, it has a single button operation, which delivers a Voltage Based Output. Since this little guy has a voltage based output, your performance relies on the coil and battery life available. And, if you’re wondering about the state the of the coil that’s included, you’ll get to experience a 0.3ohm Vertical Dual Coil Structure that uses Organic Cotton Wicking and Four Wicking Ports for consistent performance throughout your vape sessions. Matching its rather low price, you’ll get to take advantage of a 1650mAh built-in power supply that can quickly be charged via a micro-USB port that’s side mounted onto the device. As mentioned before, this is an All-In-One Design, so the Vape Tank is built onto the device as one. The tank boasts a 2mL capacity and features a top fill system, making it easy to refill throughout the day. And lastly, to increase its performance with attiquit airflow, this vaporizer tank has a Dual Airslot Airflow that is 7mm by 2mm in size on each and has a large wide bore drip tip. Out Thoughts: What’s great about this vaporizer pen is that it looks very simple, has a simple one button operation, yet it packs in just the right features to deliver an awesome performing experience. Where it may lack in battery life, it makes up for in being user-friendly and affordable. We’re highly impressed that this starter kit is marketed towards beginner vapers, yet it sports modern features you would see from a more advanced device, such as a 0.3ohm sub-ohm coil, dual airflow, and a wide bore drip tip. Creating vapor and being user-friendly is the name of the game with this device, and we believe that’s something worth taking notice to. 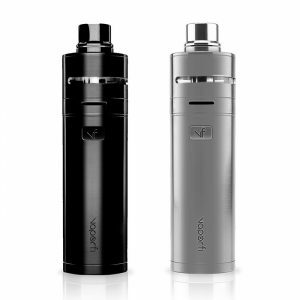 The Vicino D30 Starter Kit by Wismec is yet another flawless device that displays a simple, yet sleek appearance. Wismec has become known throughout the industry as a brand that continues to release the most affordable devices with the latest technology. In fact, they’re one of the best-selling brands within the market, as well as one of the most popular. The Vicino D30 Vaporizer is yet another starter kit, which includes the Vicino D30 Battery, the Vicino D30 Sub-Ohm Tank, two Triple 0.2ohm Coils, a USB Cable for charging the device, and a very detailed User Manual so that you can explore the Vicino D30 Starter Kit completely. The Vicino D30 Starter Kit is an incredible packaged deal. Not only does it looks great with its durable and lightweight aluminum outer shell, but it also rests more on the larger size when it comes to vaporizer pens. In fact, it boasts a hefty 30mm diameter, which is the result of its built-in 3000mAh battery that will make vaping all day not a problem. Since it has a large footprint, expect a matching 30mm diameter Sub-Ohm Tank as well. 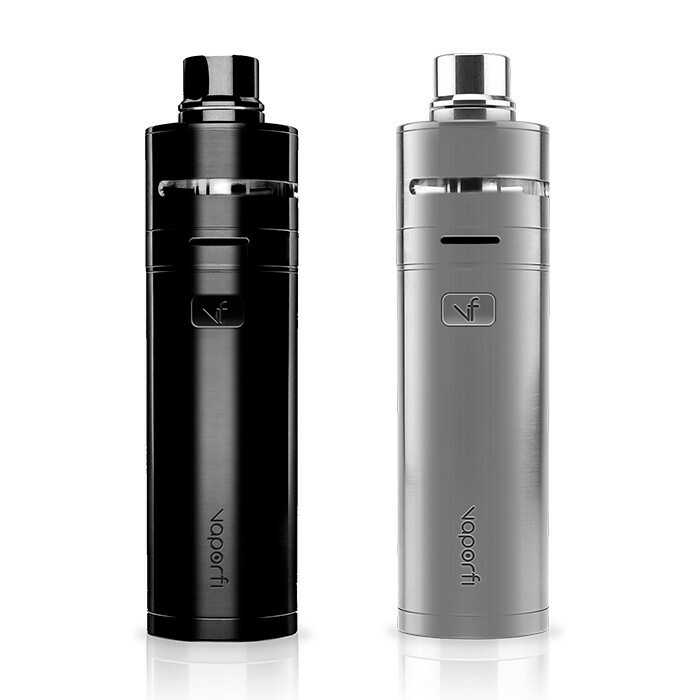 The Vicino D30 Tank sports a massive 6mL Tank Capacity with a threaded Top Fill Design, Hidden Dual Bottom Airflow Control, and it features a Vertical Coil Structure with the use of a Triple 0.2ohm Coil and Organic Cotton for clean and consistent wicking. What’s even more impressive about the Vicino D30 is its Dual Mode Output, meaning it offers a traditional Bypass Mode where it relies on the battery life available in the device, and then it also has a Variable Wattage Output that allows you to range from 5 watts to 60 watts that can be adjusted via a notched bottom ring. 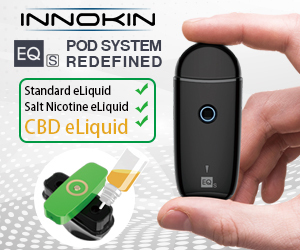 What will surprise you the most though is that all these features come standard, yet it still keeps the experience of vaping simple with its Single Button Operation and LED Feedback to indicate battery life. Moreover, enjoy things like its Spring-Loaded Gold Plated 510 Connector and Dual Circuit Protection. Our Thoughts: This vaporizer is one that may leave a large footprint, but at the same time it will offer a large battery life for those lengthy vape sessions. It simply doesn’t get better than the 3000mAh battery and up to 60 watts, and all from a cylindrical vape pen. These things aren’t supposed to deliver this type of performance and this many features, yet it does it with ease. We’re impressed mainly with its user-friendly design, being that these advanced features are offered, but still maintaining a single button operation. The Eleaf iJust S Starter Kit is the latest version inserted into the iJust series. Eleaf has done a fine job with the iJust platform by providing users with a high performance vape pen that’s both user-friendly and highly affordable. This “S” version within the iJust line looks simple and sleek, yet offers an enjoyable high performance experience from its many leading features. The iJust S comes as yet another starter kit within this list, and it includes the iJust S Battery, the iJust S Sub-Ohm Tank with a pre-installed 0.3ohm EC Coil, a spare 0.18ohm ECL Coil, a 0.5ohm EC Coil, a Silicone Ring to protect the tanks pyrex glass body, a USB Cable to charge the device, and a User Manual that’s very thorough in helping you learn all about your new iJust S Kit. 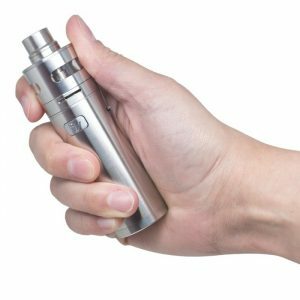 The iJust S Starter Kit by Eleaf is a fantastic new addition to the iJust platform, sporting a stainless steel chassis and an overall highly appealing appearance. Much like the others on this list, the Eleaf iJust S also displays a rather simple look, yet being short in size and a 24.5mm diameter that hints to its large 3000mAh battery capacity. Rather than controlling its power output like the Vicino D30, this vaporizer uses Direct Output Voltage, meaning the output of the device depends on the coil that is being used and the battery life available. As for the coil it uses, there are several options, such as the 0.3ohm EC Coil that’s rated for 30 watts to 80 watts, the 0.18 ECL Coil that makes use of SS316L wire and rated for 50 watts to 80 watts, and a 0.5ohm EC Coil that’s rated for 30 watts to 100 watts — all being placed in a vertical structure. The iJust S Battery also claims a micro-USB charging port with a 1A max charging rate, and like many of the others on this list, it also has a Single Button Operation with LED Feedback to indicate its battery life. In addition, the iJust S Battery sports a Spring-Loaded Gold Plated 510 Connector, as well as various built-in protection features. 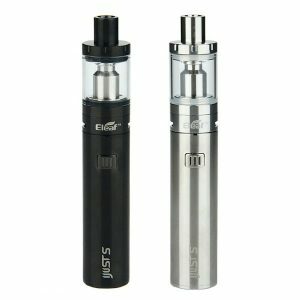 More on the iJust S Sub-Ohm Tank, you can expect a stainless steel structure, a pyrex glass body, a threaded top fill system with dual fill ports, and a 4mL tank capacity. To enhance its already stellar performance, it features Dual Slotted Airflow with 12mm by 3mm wide slots, and a fully detachable structure for convenient cleaning. Our Thoughts: There’s no wonder why the Eleaf iJust S Starter Kit is so popular. It offers a simple design with great appeal, it offers plenty of battery life, and a user-friendly single button operation design. What’s most impressive though is its coil options that allows even the new vaper to gain multiple experiences from a single device. With similar devices like this on the list, we want to apologize for making your decision that much harder now. The Joyetech eGo Mega Twist Plus Starter Kit is an exciting addition to the eGo Series of vape pens. For those that aren’t aware, the Janty brand was the originators of the eGo name, then Joyetech later took over the name and the product’s design. After the take over Joyetech became a household name within the industry, and it was all due to the eGo vaporizer pen. There has been variations of the eGo Starter Kit model, and the all new eGo Mega Twist Plus is the latest and most promising of the bunch. It includes the eGo Mega Twist Battery, the Cubis Pro Sub-Ohm Tank, a USB Cable for charging the device, and a rather extensive User Manual so that you can become more familiar with the device and how it works. The Joyetech eGo Mega Twist Plus Starter Kit is hands down the most feature rich eGo model yet, along with an appealing appearance to back it. This modern reenvision of the classic eGo Twist design delivers a 2300mAh Built-In Battery with micro-USB port side mounted for quick charging. Though it doesn’t have a large footprint, only being 22mm in diameter, it still offers plenty of battery life for lengthy vaping sessions. Besides its battery capacity, this device packs several of features, such as its “twist” to adjust Variable Wattage Output that allows you to range from 5 watts to 30 watts, and a Bypass Mode that is dependent on the battery life. When adjusting throughout its 30 watt availability, you get to take advantage of the eGo’s classic control scheme in 2.5 watt increments, yet still maintaining a Single Button Operation that uses an enlarged firing button with an LED indicator ring. 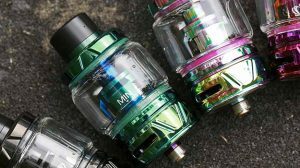 As for the Cubis Pro Sub-Ohm Tank, you’ll have the opportunity to take advantage of dual top fill methods for easy refills on its 4mL Capacity Tank, Top Airflow Control via Five 2mm by 1mm Vertical Airslots, and a New Coil System that features a QCS Coil that boasts a removable exterior, an LVC Coil that allows for liquid valve control, a NotchCoil for direct lung hits, and a BF SS316 Coil that uses stainless steel wire and can be used for direct lung hits as well. Our Thoughts: A new take on the classic eGo Twist is what this vaporizer offers. It sports a modern appearance, simple in design however, while using Joyetech’s leak-proof Cubis Pro Sub-Ohm Tank that’s known for its performance and game changing design. This vape pen starter kit is definitely a nice one, providing impressive features like the “twist” to adjust function that allows you to control its power output. It doesn’t have the largest battery life on this list, but at the same time it leaves a very small footprint. 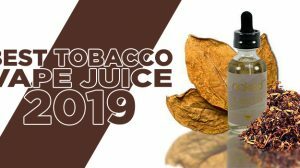 Are you in need of vape juice to go along with your new vape pen? Well we’ve got you covered. 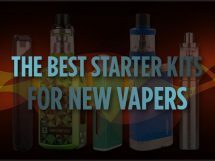 You may already be aware that vape juice isn’t commonly offered with starter kits like manufacturers used to do. The reason is because they can’t meet each individuals preference when it comes to flavors. If you’re looking for a great vape juice store that offers a premium quality, delicious flavors, and even the option to create your own vape juice with over 30,000 flavor combinations that’s catered to your taste preference, we highly urge you to check out our friends at VaporFi. 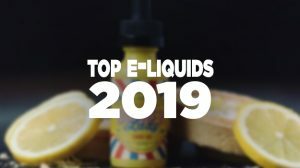 If that doesn’t entice you enough to give this brand a try, you’ll be pleased to know that when you click the button below, it’ll take you directly to VaporFi and it will automatically apply a 25% off coupon code. We’re glad that we can take part in helping you save! What Is The Best VaporFi Mod To Buy? Great article to read. I am new to vaping myself and there are a lot of opinions how the starter kit should look like. For myself I bought VaporFi, and it is my first vaping device so I’m not an expert yet.